Facebook Like Image Gallery lightbox that features an image gallery on the left and content area on the right where can place description about the image, similar to the facebook photo viewing box, where you can define the categories from which the articles will be pulled automatically. 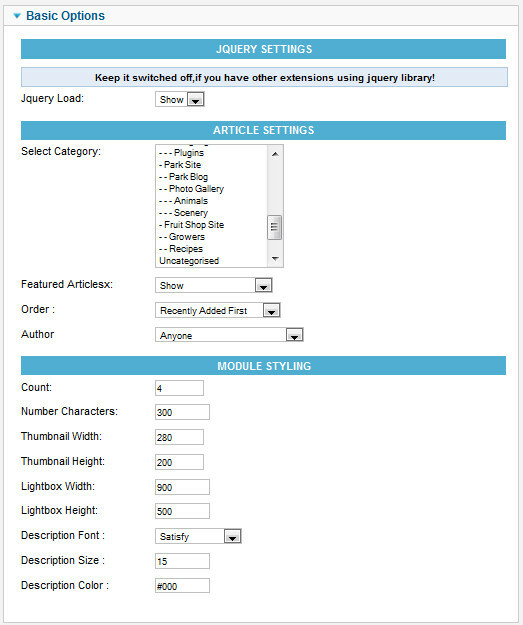 This module can also pull the images from the articles automatically and resize them. You can define the image dimensions to resize. You can also define the number of character. To be pulled to show on the intro text of the module show. Highly configurable and backed with a 24x7 Customer Support package. This module is cross browser compatible and works on all the modern browsers. Bug Free and works great! Compatible with Joomla 1.5.x , 2.5.x , 3.x.x. The Downloads Access and Extension Support is valid for 6 months from the date of purchase.